Steve Reoch and I inspected the Delta "Annastar" at the docks at Bahia Mar. This Delta has only had 3 owners. 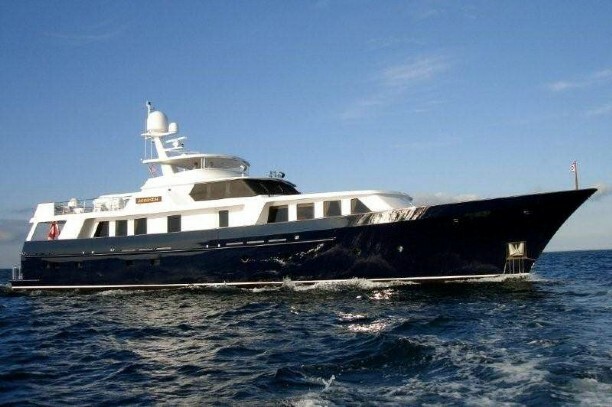 She was built by an owner who loved the classic Feadship but did not want an old boat and preferred fiberglass. Delta built him a world cruising vessel based on there full displacement hull form with a 7' draft. This hull also had an advantage over the classic Feadships in that it has a tremendous 26' beam, about 4' more then the reference vessels. She has the same comfortable old world feel and sensible layouts with all of the modern updates. ANNASTAR is in wonderful condition, she has been very well kept through out by the 3 owners and upgraded and updated as needed. She has outstanding crews quarters, an engine room engineers dream of, an on deck galley which is fully equipped and very well laid out, tons of fridge and freeze space. 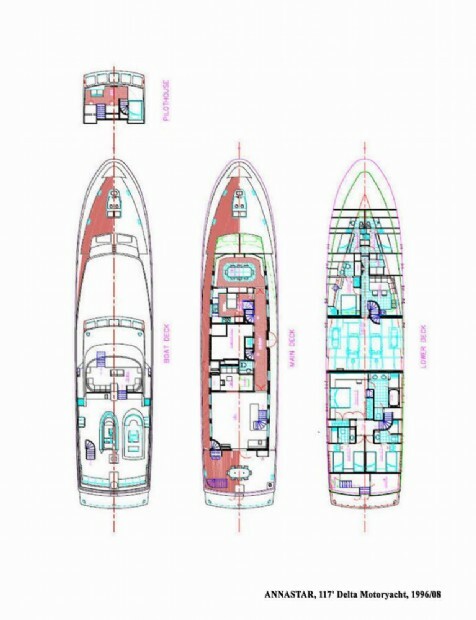 There is great deck storage, a wonder full access way to the swim platform with additional storage, and other long range cruising equipment. The only down side I could see was the decks needed some re-seaming and on the foredeck there may be some areas that will need replacing in the future. The boat is in ready to go condition, in fact when we inspected her she has just come in 4 days earlier from a trip from Cabo in Mexico to Fort Lauderdale. This vessel will not disappoint, she is a rare opportunity.